Who wants a new Glee album?! 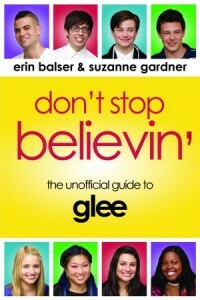 Glee: The Music, Volume 3 – Showstoppers has been confirmed for a May 18, 2010 release at all your favourite music outlets. The track listing hasn’t been announced yet, and the biggest question mark is whether or not any of the songs from The Power of Madonna EP will be included as well. Another interesting note is that Amazon has listings for two different versions of this album: a regular version priced at $10.99 and a deluxe version for $13.99. Regardless of what songs make the final cut, this album will surely be just as awesome as the first two volumes, and it’s a definite must-have for all gleeks. As soon as the track listings are announced, the songs will be listed right here on Gleeks United, so stay tuned! Until then, the regular version and the deluxe version are both available for pre-order on Amazon, so what are you waiting for? ← Introducing The Gleekdom Weekly Chat! Add this to your sidebar! Gleeks United is your one-stop shop for all things Glee: news, recaps, gossip, and, of course, lots of video clips featuring the talented New Directions Glee Club at their best. More about Gleeks United. Got a hot Glee tip? Send me your news at suzie.gardner@gmail.com.